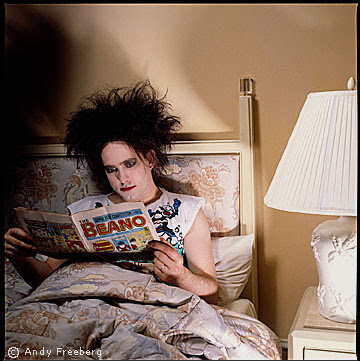 Robert Smith, I've had a crush on you for so long now. Now your in bed in this picture and I just have to say...I love you. I do. I love your voice, your your your everything. GOD I just can't take it!!! The Cure - "Letter to Elise"